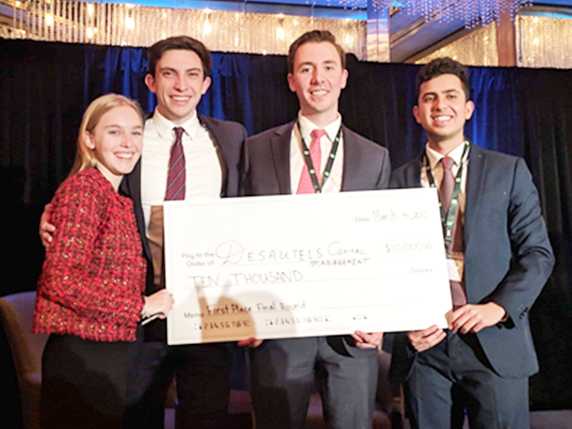 Desautels Honours in Investment Management students Kyle Costanzo, Émilie Granger, Tejas Saggi, and Eric Van Hees won the top spot in the National Banking Competition in Vancouver, coming in victorious over the 500 applicants and 70 competing teams who made it to the finals. 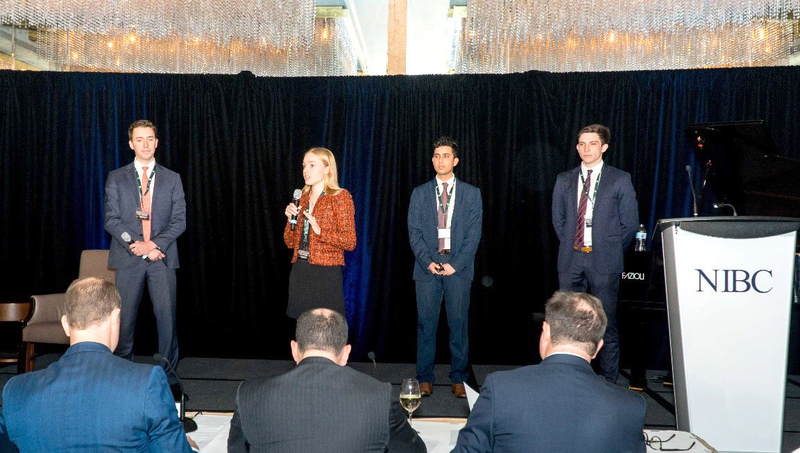 The team presented their winning proposal to judges from companies ranging from PE Firms (Blackstone) to the Canadian Investment Banks. They also had the opportunity to network with professionals in the finance industry (private equity and investment banking) from New York and various cities in Canada.